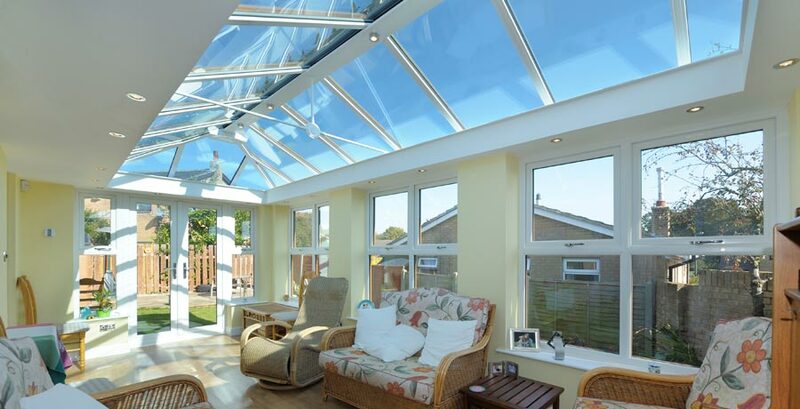 If your property has an existing conservatory, but it's looking a bit tired and maybe isn't as weatherproof as it once was, replacing it with a more modern version or even a cross over extension might not be as expensive as you think. Chances are that your old conservatory has the required foundations in place, and possibly even some brickwork which forms part of a frame. The team at Crendon Conservatories can build around these, saving you a large amount of money, and we have an amazing range of products we can offer you to create your perfect environment. We can even look at just replacing the roof section with one of our technically advanced and flexible LivinRoof systems, or go a step further and install a LivinRoom cross over extension, which has the feel of an extended room from the interior, but the look of a modern and well designed conservatory from the exterior. Neither of these systems require any planning permission or building regulations, so the process is quick, efficient, cost-effective, and ultimately you'll be delighted with the results. Crendon Conservatories can also install plumbing, heating (including underfloor), electrics and lighting, plus a range of other finishing services. Take a look at our case studies section to see lots of examples of LivinRoof and LivinRoom projects that we've completed recently....why live with your old, damp, cold conservatory when you could wow your friends and family with an ultra-modern cross over extension?